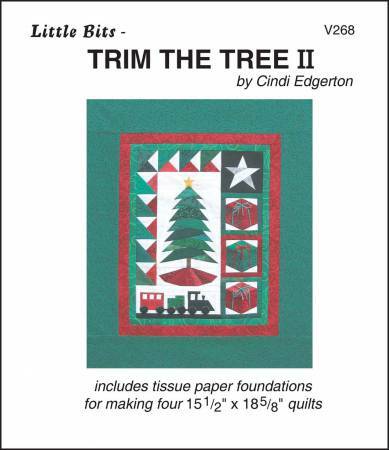 A charming Christmas tree quilt to make in 3 sizes.Embellish with charms or trims. Pattern includes tissuepaper foundations for 6 wall quilts, 2 of each size. Sizesare: 6in x10in, 10 1/2in, 10 1/2 x 16 1/2in, and16 1/2in x 25 3/4in.